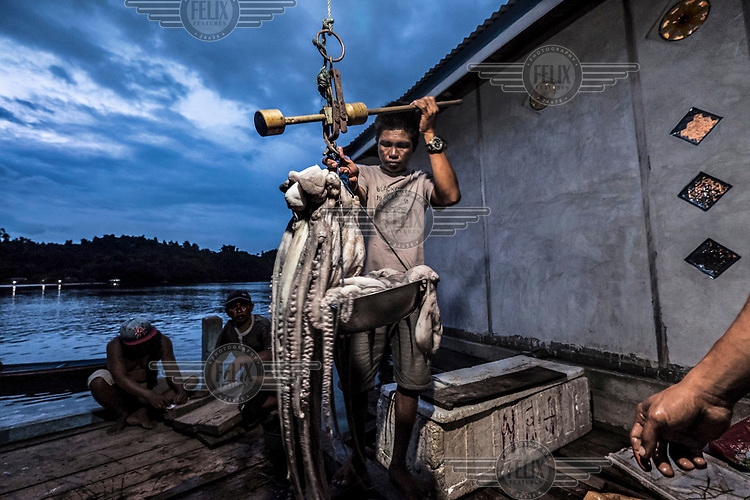 Bajau men weigh recently caught octopuses in the village of Pulo Papan. The catch will be sent to the nearby town of Ampana for processing. Octopus is one of the main sources of income for the villagers.